Denis Monfleur is one of the few artists who has kept alive the ancestral practice of subtractive sculpting, i.e., direct carving to remove unwanted material. 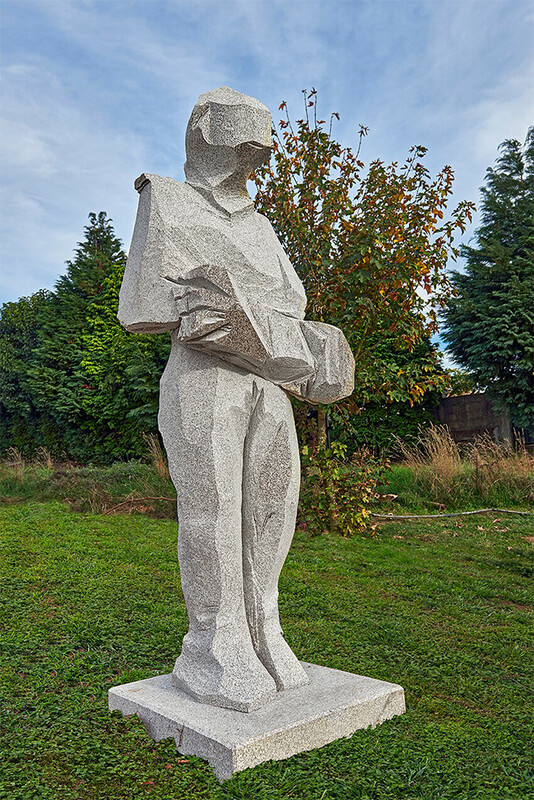 This French sculptor prefers hard materials like granite and basalt to produce either monumental or smaller sculptures. By adopting the techniques and methods of traditional figurative stone sculpture, Monfleur has managed to build up a distinctive identity through the way in which he roughs out, chisels and models his materials. Showing clear traces of the artist’s tools, each piece is highly expressive due to dexterous composition. Faithful to his work methods, the sculpture made for Santo Tirso shows a mysterious stone figure. The plastic qualities of the unfinished form and the suggested gesture stress the need for the viewer’s active participation in constructing the piece´s meaning and value.